Have Evangelicals “got the gospel wrong?” Scot McKnight thinks so, arguing with strong language that “Evangelicalism that focuses on decisions [instead of discipleship] short circuits and—yes, the word is appropriate—aborts the design of the gospel” (18). The problem, McKnight contends, is that many Evangelicals equate “gospel” and “salvation” or more particularly, “justification by faith,” and that this reductionist gospel deconstructs the church. “I think we’ve got the gospel wrong, or at least our current understanding is only a pale reflection of the gospel of Jesus and the apostles. We need to go back to the Bible to find the original gospel” (24). McKnight does just that with two chapters on the apostolic gospel in the letters of Paul and Peter’s preaching in Acts, plus two more chapters on Jesus and the gospel, and the Gospel in the gospels. Using 1 Corinthians 15 as his primary text, McKnight details eight observations of Paul’s gospel, which together comprise the fundamental content of the apostolic gospel. This gospel is the announcement of the story of Jesus as the saving news of God, and as the climax of Israel’s story. The content of the gospel is Jesus, this particular person who is Messiah and Lord, Son and Saviour—King. In light of this content, then, the four gospels are the gospel par excellence, setting forth the story of Jesus and communicating the central features of the apostolic gospel. These central features also show up in the apostolic proclamation recorded in Acts, though McKnight notes two important innovations; first, Paul contextualises his proclamation in gentile contexts with a nuanced account of Jesus as the climax of Israel’s story, and second, gospel proclamation in Acts included a potent summons to repentance, faith and baptism. 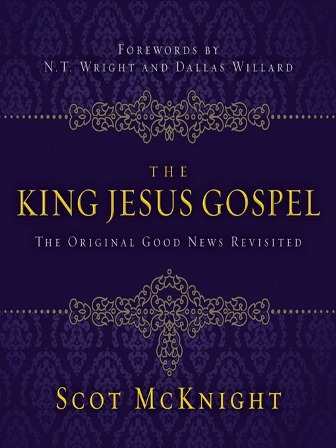 McKnight is careful to distinguish the gospel itself from the salvation which flows from the gospel. His argument is that the ancient church extrapolated 1 Corinthians 15 into the rule of faith, and then the creeds. That is, the creeds exegete and expound the apostolic gospel. In the Reformation, however, the focus of faith, theology and preaching became the personal appropriation of and response to the gospel. Although a legitimate development in its context, this led in the post-Reformation period to a truncated gospel in which the gospel was wholly encompassed by this focus. The singular contribution of the Reformation, in all three directions—Lutheran, Reformed, and Anabaptist—was that the gravity of the gospel was shifted toward human response and personal responsibility and the development of the gospel as speaking into that responsibility (71). McKnight argues that the as a result of the Reformation, the gospel story was reframed in terms of the individual and against the church as the mediator of grace. The key innovation in this reframing was the central place given to the doctrine of original sin. McKnight perhaps overstates his case here. The reframing of the gospel through the lens of original sin occurred long before the Reformation. Nevertheless his central point stands: the reframing of the Christian story in terms of original sin and personal justification provided the theological context for the religious individualism which came to full flower in revivalist pietism, and especially so in the American context with its particular individualistic ethos. When the plan gets separated from the story, the plan almost always becomes abstract, propositional, logical, rational, and philosophical and, most importantly, de-storified and unbiblical. When we separate the Plan of Salvation from the story, we cut ourselves off the story that identifies us and tells our past and tells our future. We separate ourselves from Jesus and turn the Christian faith into a System of Salvation. There’s more. We are tempted to turn the story of what God is doing in this world through Israel and Jesus Christ into a story about me and my own personal salvation. In other words, the plan has a way of cutting the story from a story about God and God’s Messiah and God’s people into a story about God and one person—me—and in this the story shifts from Christ and community to individualism (62). Reducing the gospel to a series of abstract propositions tears us from the story that not only frames the gospel, but is the ground of our identity, vocation, and hope in Christ. It becomes concerned narrowly with personal salvation and morality rather than the lordship of Christ in all of life. As such, it deconstructs the church because there is no inherent or necessary link between a gospel which aims simply at decisions or “conversion,” and discipleship. What response can be made to these claims? First we need, I think, to recognise the legitimacy of McKnight’s critique where such reductionism is concerned. How prevalent this reductionism is, I cannot say, though I can witness to having seen much of it in the Evangelicalism I have experienced over the last thirty years. Second, what is to be done? The answer to this question is the focus of the final two chapters of the book “Gospeling Today” and “Creating a Gospel Culture,” in which McKnight argues for a robust narrative proclamation of the gospel that sets forth the Lordship of Christ and summons people to respond, so that they may not only be forgiven, but restored to their true humanity and vocation which was defaced and lost in the Fall. The church thus becomes integral to the gospel proclaimed, and salvation a life of following Jesus in the company of God’s people. In all this McKnight does not deny the necessity of personal response and decision with respect to Jesus’ lordship and the work accomplished for us in his death and resurrection. What he does deny is that this decision and response can be abstracted from the overarching story of Scripture and concrete participation in a life of discipleship. I suggest there is more to be said here about the role of the church in the economy of salvation, especially if the church is no longer to be viewed as a voluntary society. Although the deconstruction of the church was one of his major concerns, McKnight has not developed these points here. Those churches and traditions with a strong ecclesiology, and a covenantal and/or sacramental theology already have the resources to navigate this relation. I suspect that McKnight will be drawn in these directions as he continues to develop his thought in this area. This is a good and relevant book, addressing an important and probably widespread misunderstanding, and written in a popular and colloquial style for an audience who are unconcerned with academic conventions or critical approaches to Scripture. Its chief virtues are its clear-sighted focus on the issue, its careful delineation between his position and the one he critiques, and its prominent use of Scripture to explore the issues and make its case. I can envisage pastors referring to this text as they help their congregations understand, live and share the gospel. James trusts that through the work of endurance we ultimately will be so complete as to “lack nothing” (v. 4). In the present, however, it is entirely possible that we may lack various attributes, among them, wisdom. This new paragraph continues James’ reflection on the theme of trials, and uses the link-word leipō (“lack”) to connect verse five to verse four. Why does James single out wisdom rather than, say, peace or courage, love or unity? These, too, are significant and worthy virtues, even and especially in the midst of trials. But James directs his listeners to wisdom, and will later devote a whole section to wisdom as something he desires for his listeners. Wisdom is crucial to maturity. Wisdom is important in times of stress and trial. Wisdom guides action and response. Even James’ “knowing” in verse three is an aspect of wisdom. In singling out wisdom, James stands in a long Hebrew tradition which valued wisdom as “the principal thing” (cf. Proverbs 4:7 KJV). The best thing for which we might ask is not deliverance from trials but wisdom that we might conduct ourselves wisely in the midst of them. Hence James commands any who lack wisdom to ask for it: aiteitō (ask), as a present imperative suggests that God’s people should continually ask for such wisdom, and indeed may do so with great confidence because the God to whom the prayer is addressed is “the giving God.” By declaring God to be the giving God (para tou didontos theou) who gives generously or wholeheartedly (haplōs) and without reproach (oneidizontos) to all (pasiv), James provides great assurance to those who pray to this God for wisdom: “it will be given to them” (kai dothēsetai autō). Confidence in prayer is the fruit of confidence in God, which in turn is based upon the knowledge of God’s gracious character and God’s will (cf. 1 John 5:14-15). James simply assumes (no doubt on the basis of the Old Testament, e.g. Proverbs 2:1-5) that God wills to give wisdom to his people. Thus his whole focus is on the generous character of God whose generosity is universal, indiscriminate and inclusive (“to all”; cf. Matthew 5:45 where God gives sunshine and rain to all indiscriminately). This generosity is underlined in James’ use of haplōs, which appears in this form only here in the New Testament. The word is usually translated in English versions as “generously” which is an appropriate translation. But it also means “singly” or “simply” in the sense of being undivided, wholehearted, or perhaps best, given the thought James will develop in verses 6-8, “single-mindedly.” That is, God is wholeheartedly and single-mindedly generous. Or as Vlachos (25) so nicely states it, “God’s giving is as wholehearted as it is universal.” To emphasise the point James also notes that God gives freely and without reproach, without demeaning the recipient or showering them with shame. God is no “fool” who gives with one hand and takes back with another, generous with nothing except criticism (cf. Sirach 20:14-15). Those who come to God in prayer will find that God gives sincerely and without reserve or criticism. God’s commitment to his people is total and unreserved, and so they may expect to receive (Davids, 73). How, then, can we be double-minded toward a God who is so single-mindedly generous? For during a decade in which Napoleon was effectively engaging, if not transforming, Europe, Jane Austen composed a novel in which the most important events are the fact that a man changes his manners and a young lady changes her mind… Jane Austen’s book is, most importantly, about pre-judging and re-judging. It is a drama of recognition – re-cognition, that act by which the mind can look again at a thing and if necessary make revisions and amendments until it sees the thing as it really is (368-369). Tanner’s introduction (see Austen, J. 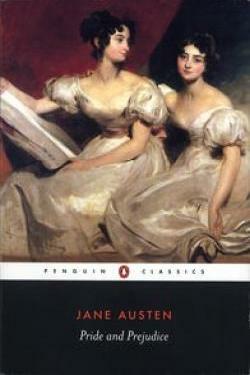 Pride and Prejudice, Penguin Classics edition, 1996), provides a psychological reading of Austen’s masterpiece, using the work of Hume as a lens. In his view, Pride and Prejudice deals with issues of character, decisions and “first impressions” (Austen’s working title for the book before its publication). Romantic love makes individual happiness both the motivation and the goal of moral and social change. … So the power to motivate and reward change, both personal and social, lies with the woman. … This plot formula seems to give women, and the values they represent, a lot of power and responsibility. But it is power of a carefully circumscribed kind. The social order has been modified, not radically altered. Austen’s post-revolutionary achievement in Pride and Prejudice is to put Wollstonecraft’s revolutionary femininity at the service of the Burkean ‘family party’ by writing what is still one of the most perfect, most pleasurable and most subtle – and therefore, perhaps, most dangerously persuasive – of romatic love stories (xv, xxxii, xxxv). Jones and Tanner are two very different readers of the same story, and provide an excellent example of the reality that who the reader is and what they bring to a text makes a decisive difference to the way they read the text and what they see in it. Tanner sees a wonderfully written romantic comedy devoid of political significance, while Jones sees a wonderfully written romantic comedy that serves as a vehicle for a sophisticated political vision that fuses elements of early feminism and conservative Burkean hierarchy, against a backdrop of revolutionary France. It is likely that Tanner was unable to even see what Jones has seen in the story. It is not simply that Jones reads as a woman, though I suspect that is part of it. She is also schooled in feminist literature and history and so is alive and sensitive to issues in Austen’s context that Tanner simply did not see. Is Jones over-reading the novel, seeing in it things that are not there? This is a danger confronting every reader, and could legitimately be asked of Tanner as well. But no, her reading of Austen is insightful and well-supported. Both introductions are excellent and well worth reading, and Penguin is to be commended for keeping them both in their revised volume. They highlight development in Austen scholarship between the early 70s and mid 90s, and feminist contributions to literary study. They alert us also to the significance of the reader which has evident implications for readers of Scripture. We do not simply read the biblical text in some kind of unfiltered way, gaining direct and unmediated access to “the truth.” Every act of reading is also an act of interpretation, and we interpret what we read according to the frameworks of understanding we bring to the text – whether consciously or unconsciously, whether well or ill-informed. What has shaped you as a reader? James now uses a second imperative to instruct his listeners, commanding them to let (echetō) endurance have its full effect (NRSV), perfect result (NASB), or literally, perfect work (ergon teleion). In view of James’ later discussion of faith and works, it is of interest that he introduces the concept of work here, at the start of his letter. Indeed, as we saw in verse three, the testing of our faith “works” endurance; now the believing community must let this work occur. That is, James commands his listeners to continue to persevere, to “keep on keeping on” for as long as the test continues. The testing of our faith produces endurance as we endure. As a muscle is strengthened through use, so endurance develops through exercise. The temptation is to capitulate before the test has run its course, to relinquish faith, to cave in under pressure, to walk away. Just as James’ first imperative (consider it all joy) was tied to a foundation of common knowledge (knowing…), so his second imperative is now tied to a purpose statement: so that you may be perfect and complete, lacking in nothing. James now holds before his listeners the end result of endurance if they will allow it to do its work: they will be “perfect.” It is impossible to miss James’ play on words in this verse, concerning the perfect work of endurance which results in the perfection of the people of God. The “full effect” or “perfect result” of endurance is not simply to outlast the particular test we are enduring, nor simply to grow more robust in endurance itself. Rather, it is the perfection and completeness of godly character. Perfect (teleios) and complete (holoklēros) function as synonyms, though with a slightly different sense. Teleios connotes a perfection beyond which there is no degree, whereas holoklēros denotes perfection in every part (Vlachos, 20). An interesting parallel to this verse is found in Paul’s prayer of 1 Thessalonians 5:23 where he prays that the Thessalonians may be perfectly sanctified in every aspect of their being, that is, in their whole “spirit and soul and body.” Douglas Moo (61) regards this perfection as the eschatological perfection towards which we strive but which will only be realised in the eschaton. Scot McKnight (81f.) prefers to see it not as “sinless perfection,” but as real behavioural maturity, a way of life and being in which genuine virtue is a reality rather than simply an abstract ideal. The final phrase—lacking in nothing—is simply a negative confirmation and restatement of the positive message of being “perfect and complete.” To lack nothing, in other words, is to have everything. Such is the power of endurance, in James’ vision of the moral life! In this you greatly rejoice, even though now for a little while, if necessary, you have been distressed by various trials, so that the proof of your faith, being more precious than gold which is perishable, even though tested by fire, may be found to result in praise and glory and honour at the revelation of Jesus Christ. These passages are similar to James in both language and concept. In Romans, Paul notes that believers exult in tribulations (thlipsis) knowing that tribulation brings about (katergazetai) perseverance (hypomonē), and perseverance, proven character (dokimēn). The apostle Peter also writes to communities distressed by various trials, which serve to prove the genuineness of their faith and so result in glorification at the coming of Jesus. His point is slightly different to that of James who is not concerned with the proof of their faith but with their steadfastness. That these three authors each use this common language and conceptuality suggests that this was traditional and common knowledge amongst the early Christian communities. It is on this basis that James can readily say, “Because you know…” They did in fact know this as common community knowledge. Lying behind James’ exhortation then is a vision of what constitutes the Christian life, and in fact, what it means to be truly human: that is, to be a person and a community which is perfect, completely sound and whole, mature behaviourally, morally and relationally. The ground and possibility of this maturity is faith—right relation to God which issues in a “rightness” of being. The tests which assail the community intend to draw God’s people away from this faith, to tempt them to seek their own justice and their own right, to become, in Luther’s terms, homo incurvatus in se – humanity curved in on itself. But James will have none of this. Although his vision is urgently framed in terms of the apocalyptic confrontation of evil powers and eschatological hope, it has a very real and practical aim. James is not simply giving out good practical advice for “turning lemons into lemonade,” so that God’s people can be blessed in spite of trials. This is not a prosperity gospel whereby every trial is a stepping stone to greater victories so that we lack no (earthly) thing. James writes to shape the vision, character and way of the community in the world. God’s intent is a people steadfast in faith and mature in character, living in the midst of the kingdom of darkness but bearing witness to the kingdom of light. No wonder trials come! Yet when and as they do arise, somehow, by the mysterious work of the Spirit of grace, the trials designed to destroy our faith, develop endurance and this endurance goes to work in us building character, maturity and virtue. In these opening verses of his letter then, James offers us a vision of what it means to be truly human, and indicates a process for realising this vision. 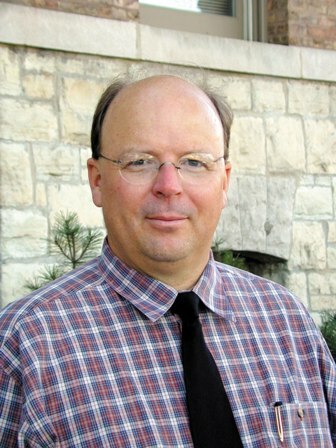 Former Vose New Testament lecturer, Richard Moore has an article in the present issue of Expository Times (Vol. 125, No. 10 (July 2014)), together with a response from NT Wright. (There are other Perth links in the issue with a review of Matthew Malcolm’s The World of 1 Corinthians, and a review article of Bill Loader’s The New Testament on Sexuality: Attitudes towards sexuality in Judaism and Christianity in the Hellenistic Greco-Roman Era). Richard’s article is sharply focussed on a particular issue: how Wright translates the Greek word dikaiosunē (“righteousness,” “justification”) and its cognates in Wright’s translation of the Greek New Testament into English (The New Testament for Everyone). Richard has two interests at work here: first, he has spent a lifetime exploring Paul’s use and doctrine of dikaiosunē, in the New Testament, in the history of the church, and English bible translations; and second, he has just completed his own translation of the New Testament Under the Southern Cross: The New Testament in Australian English, to be published later this year. Richard finds fault with Wright’s translation because of the many different English words Wright uses to translate the same Greek word: “This can only confuse his reader, and, of course, prevent the reader from hearing what Paul is actually saying in this section” (485). A subsidiary concern is that Wright’s translation is idiosyncratic, illegitimately importing notions of covenant theology into Paul’s theology of justification, whereas for Richard, “Paul was not a covenant theologian” (485; original emphasis). In his response to Richard’s article, Wright defends his translation by focussing on the covenantal context of the primary Old Testament passages from the Abrahamic narrative, and by using his own linguistic arguments to demonstrate that Paul has the Septuagint in mind as he writes, which links covenant and righteousness. Though Paul only infrequently uses covenantal language, the whole context of the passages he is citing from Genesis are covenantal in nature, where God’s gift of right relationship is grounded in God’s covenant. Wright therefore argues that his translation attempts to elucidate what he considers to be Paul’s theological perspective, and that it requires the kind of English language terms and idioms he has used. What is evident in this minor dispute is that the two authors have two ways of approaching the tasks of exegesis and biblical theology. At the level of translation, Richard appropriately argues for consistency so that the English translation has strong linguistic connections with the underlying Greek text. His argument is not, I think, without merit this point, for it appears that Wright goes beyond translation to exposition by importing his particular understanding of Paul into the work of translation. I am not competent, ultimately, to adjudicate this dispute about what constitutes faithful interpretation. My interest concerns the way these two theologians have read the biblical text, at least as that is represented in these two articles. At base, there is a fundamentally different understanding between the two authors, as to what, precisely, Paul means when he uses dikaiosunē language. It seems that the root of this difference are different ways of reading Scripture, with different weight being given to linguistic, grammatical, and narrative features of the biblical texts. Both authors read Scripture theologically, and both bring an interpretation to Paul. But since their method of engaging Scripture differs, so too do their resulting theologies. In this verse, James provides the first rationale for his command in verse two. Believers are to “consider it all joy” when they fall into various trials because they know (ginōskontes hoti) something: that the trial of their faith produces endurance. James assumes this knowledge on the part of his listeners, as though it constitutes a common stock of knowledge generally available. The word James uses to refer to the testing (to dokimion) of their faith is rare in the Greek, appearing elsewhere only in Psalm 12:6, Proverbs 27:21 (Septuagint), and in 1 Peter 1:7. The Old Testament references provide useful imagery for understanding the nature of trials. As a furnace is used to refine and purify silver, so the tests faced by James’ hearers serve also to “refine” and “purify” them. The imagery of the furnace captures the unpleasant and potentially destructive force and nature of the testing, while the result of the process is seen as valuable and desirable and so as the grounds for rejoicing. What is being tested is their faith. According to Vlachos, the trial is intended to refine and strengthen a faith that already exists rather than to test whether faith is present or not (18). This idea seems to align with Peter’s use of the same language in 1 Peter 1:6-7 where he speaks of the suffering believers’ faith being proved or shown to be genuine (dokimion). Indeed, many commentators suggest that the purpose of the test is the purification and maturity of the believer (e.g. McKnight, 69, and Moo, 61). In this view, God is the refiner who places his people into the furnace in order to remove the impurities from their lives and so present them as mature. Nevertheless it is important here to distinguish between purpose and effect when interpreting these verses. It is at least possible that in James’ mind the purpose of the tests is to destroy the faith of God’s people. This is a quite common mindset in the New Testament, and sees the origin of the tests in the more sinister agency of Satan, the “accuser of the brethren” (Revelation 12:10), rather than in the more benevolent attentions of God. Perhaps more directly relevant to this passage is Paul’s concern in 1 Thessalonians 3:5 that “the tempter” (ho peirazōv) might have rendered his missionary labour amongst the Thessalonians vain by the persecutions they endured, or Jesus’ words to Peter in Luke 22:31-32: “Simon, Simon, behold, Satan has demanded to sift you like wheat; but I have prayed for you, that your faith may not fail.” In both cases the blowtorch is applied to the believers’ faith with the intent of destroying it, and in both cases there is the theoretical possibility at least, that their faith might actually be lost. Other texts might also be adduced. Jesus warns that “Satan comes immediately” to take away the Word whenever it is sown (Mark 4:15; cf. 2 Corinthians 11:3). The pattern is seen in his own temptations following his experience of the Spirit at his baptism (Luke 4:1-13). The apostle Peter speaks of “your adversary the devil” who prowls around like a roaring lion seeking those whom he may devour. Nor are Peter’s readers unique in this respect: all believers are subject to this common suffering and must likewise stand firm in faith, resisting the devil (1 Peter 5:8-9; cf. James 4:7-8). The classic texts of Ephesians 6:10-18 and Revelation 12:7-17 situate these tests within the broader drama of cosmic spiritual warfare and an apocalyptic worldview. To read James according to this view is to think of the tests as a threat to faith. As such, they do not have a divinely intended purpose, nor are they “sent by God to teach us or perfect us” as is commonly said in Christian circles. Rather, as specific tactics in an ongoing war against the people of God, they intend not to build or develop faith but to destroy it. Their purpose is not to teach us but to tempt us, not to lead the believer towards maturation but capitulation, so that they lose faith in God and let go of the hope that faith inspires. It may be that many modern readers react against the apocalyptic character of this worldview and prefer to understand sin and evil in more human or institutional terms, rather than in terms of an evil spiritual personality. In fact, it is possible that James’ central point is retained, even if the apocalyptic background is stripped from the passage. It is possible that the trials arise as an aspect of the church’s location “between the times,” in this period in which the kingdom of God has found entry into the world and is growing in the world but is not yet fully realised in the world. The way of the kingdom is antithetical to the way of the world and results in pressure being brought to bear upon the lives of those who choose this new way. It may be that the tests arise simply as part of the conditions of life, the normal pressures and stresses of existence which challenge the idea of God’s existence or God’s care. The very real afflictions, pressure and suffering experienced by Christians may cause them to despair of God’s goodness or power or both. James notes that the testing of their faith produces endurance (katergazetai hypomonē). Katergazetai simply means “to produce,” although the erg-root in the verb is related to “work” and so anticipates ergon (“work”) in verse four. The verb is in the present tense, indicating a process or progression culminating in endurance. Hypomonē literally has the sense of “remaining under,” and so bearing up in the midst of difficult or challenging circumstances. It refers not to passive acceptance or resignation in the face of these circumstances, but is an active, strong and positive resistance of them. Hypomonē, therefore, characterises those who hold themselves steady in the midst of pressure. In the early Christian community it was a trait highly valued, for only those who had it would truly endure to the end (cf. Matthew 10:22; 24:13). It is used in the epistles, and especially in the book of Revelation, to encourage the embattled church to stand firm, even to the point of death. It is often paired with faith, the two virtues working together to ensure the believer inherits the eschatological promise (e.g. Hebrews 10:35-36 (cf. 6:12); Revelation 13:10).